Need a venue for your party? Need somewhere cosy and intimate for a group of friends to get together for a birthday, a leaving or Christmas do or just an excuse to meet up for a chat? Then why not think about using Gaia in the evening. We, the Dragotta family, will help you to create and host the perfect evening. You can tailor your menu to suit using our extensive list of pastas, soups and antipasti - the very best Italian ingredients. Bring your own bottle, or if you prefer we can call on our wine expert to source fine wine for the occasion. We can also cater to outside functions and are happy to deliver anywhere in the city. 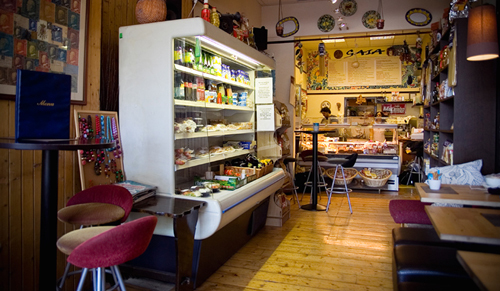 Copyright Gaia Italian Deli Edinburgh © 2012. designed by easyonlineweb All Rights Reserved.